Held in Mistral’s private dining room, our approach to corporate luncheons and private lunch gatherings is highlighted by quality and personalization. 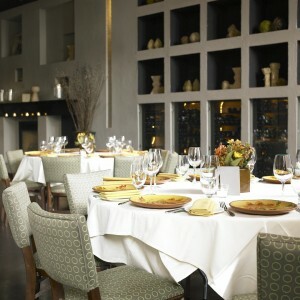 Mistral is the perfect Boston venue for corporate lunch events or private dining events. Our private events team will ensure your business lunch, lunch meeting, or corporate lunch is planned with strict attention to detail and flawless execution. With award-winning French Mediterranean Cuisine from Chef Jamie Mammano and elite service, your corporate lunch in Mistral’s private dining room will exceed expectations. Mistral provides a private dining facility that is unmatched in Boston. With seating available for sixty guests, our private dining room is fully equipped to handle every detail of your corporate lunch meeting. 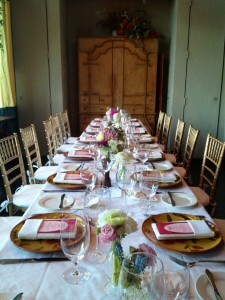 Multiple seating plans and custom table arrangements are available to meet your specific needs. Wireless internet and other amenities are available; please contact us for more information. Our proximity to Boston’s downtown business centers and hotels make Mistral among the city’s most centrally located private lunch venues. Located on Columbus Avenue, Mistral is easily accessible from most points in the city.